August 21, 2016 August 24, 2016 by Gelinas James, Inc. If you are reading this blog, you are probably someone who likes getting things done at work or in your community. For example, you want to improve customer service or make the street on which you live safer for the kids who play on it. You also know that to get things done you need to work with others. We can always choose whether to help to solve a problem, or achieve a goal. We can also choose how we do this, including how we interact with others. Choosing whether and how to pitch in is easier to do than choosing how to interact with others. It’s harder because as soon as we start conversing, things become uncertain. Unless we are talking with our clones, people say things that call into question what we think is needed or how we want to proceed. Because we can get triggered so quickly in our conversations, it is important to strengthen our ability to make conscious choices. Do we want to react to others or do we want to respond to them? When we react we stop listening and say things out of anger that are usually destructive to the people and their ability to work together. When we respond, even if we are frustrated, we can consciously choose how to communicate our emotions and thoughts in more considered and considerate ways. 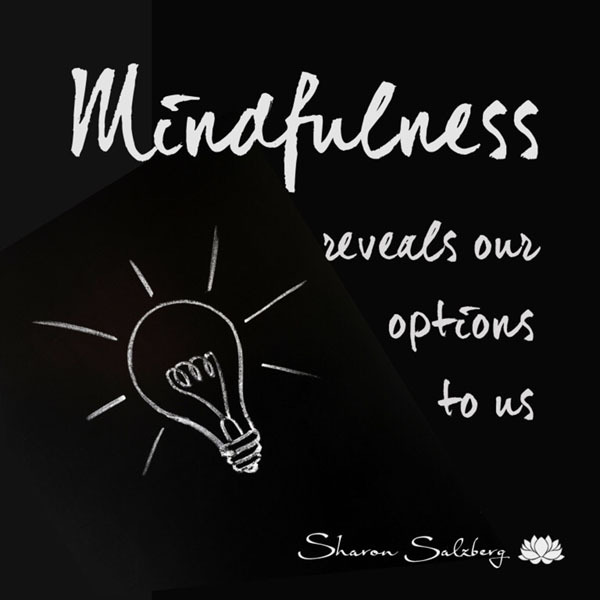 Developing mindfulness is a dependable way to increase our ability to make conscious choices. Mindfulness, according to Zen priest Norman Fischer, is “simply doing whatever you are doing with awareness, carefulness, and love. And, when you are not doing this, coming back to it.” For me, meditation has been the most effective way to develop mindfulness. It seems to help me do whatever I am doing with more awareness and kindness. However, this is my path to develop mindfulness. What is yours? What is important is that we learn to make conscious choices about how to respond to situations, even or especially in the midst of upset, so we work effectively with others and get good things done for our world, whether it be at work or in our community. The question is how can we carry on our conversations with “awareness, carefulness, and love?” And, when we are not doing this, making a conscious choice to come back to it. This blog draws on my forthcoming book Talk Matters! Saving the World One Word at a Time. Click here to leave your email address and we will notify you when the book becomes available this Fall.